Investment success is all about doing a few things right consistently over time in order to both increase your wealth through growth in investment valuations and also by not making major mistakes along the way. The better investment funds have a long-term track record with one or two investment managers who have proven themselves to add value over time. The description of the fund needs to be clear about its objectives and that the manager(s) stay laser-focused on these goals rather than straying frequently from them. A predominantly growth-based strategy needs to focus on finding and investing in companies with strong growth stories that are expected to double in value in the short to medium term which would preclude investing in undervalued companies based on the return from a change in their value over time, which is a value-based strategy. 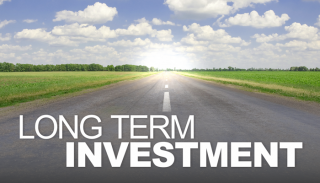 Learn which types of investments perform better over time and why. Owning stakes in businesses have been proven to outperform owning the debt of the same companies under many economic circumstances. Buying into sectors and areas of investment that have underperformed in recent times can often lead to outsized returns when the sector rebounds once again. A book like The Four Pillars of Investing by William J. Bernstein provides some useful instruction into the principals and discipline of investing long-term. The history of stock market investors is that they buy into stock funds too late when they’ve already performed extremely well and then sell out disappointed after the fund has peaked and fallen back in value. These same investors go on to the do the exact same thing with their next mutual fund selection. This repeating of the cycle as an investment approach leads to far lower investment returns realized by the investor than the actual fund returns shown in the financial reporting because of all the movement in and out of funds is done at the wrong time. For an excellent range of funds for Canadian investors, look for an investment house that offers many choices of funds run by managers with deep experience and expertise in their chosen fields. You need to consider the position you are currently in life. Are you in your 20s with decades of investment years to come? Or are you in your 50s looking ahead to early retirement and worried more about a steep market decline rather than relying on outsized market gains to help you achieve your target retirement goal? The strategies for each type of investor should be quite different. The youngster can afford to invest heavily in equity investments with ownership positions in companies rather than invest mainly in low-yielding, limited or zero-growth fixed income funds. The investors nearing retirement need to focus more on protecting their assets from a steep decline by owning balanced funds or a mix of stocks and bonds to limit their downside risk should the stock market suddenly decline 50% in a year. Real estate is something that any homeowner already thinks that they have taken care of, but in most cases the home is a place to live in, not an actual investment that generates income. Real estate investment funds (REITs) are a good place to invest a portion of a portfolio because even a single REIT may own 100 or more properties and owning several REITs in a fund offers some excellent diversification benefits. Due to the fact that REITs are required to pay out the majority of their net income to investors each year, a tax-efficient income stream is usually higher than with regular common stocks. Waiting to get started with investing is almost always a mistake because the lost time adding to and compounding up investments is time that you never get back again. Contributing only $1,000 every year from age 20 to age 30 will beat out the investor who only begins at age 30 and adds $1,000 every year until they reach 65 years of age. With a 7% return, the late starter would have a balance of $147,914 (excluding investment fees and taxes) at age 65 whereas the early starter who invested much less would have a $168,515 sum at age 65. Smart investing is about making some solid choices early on, continuing to add to investments over time, and above all, being patient to see the results. With this approach, success is almost inevitable with the practice of investing.